Hello and welcome to the Focused on Story blog. 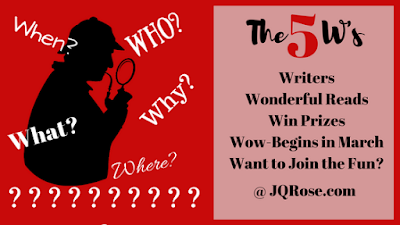 We continue with the guest author series, The 5 W's in Storytelling--who, what, where, when and why. 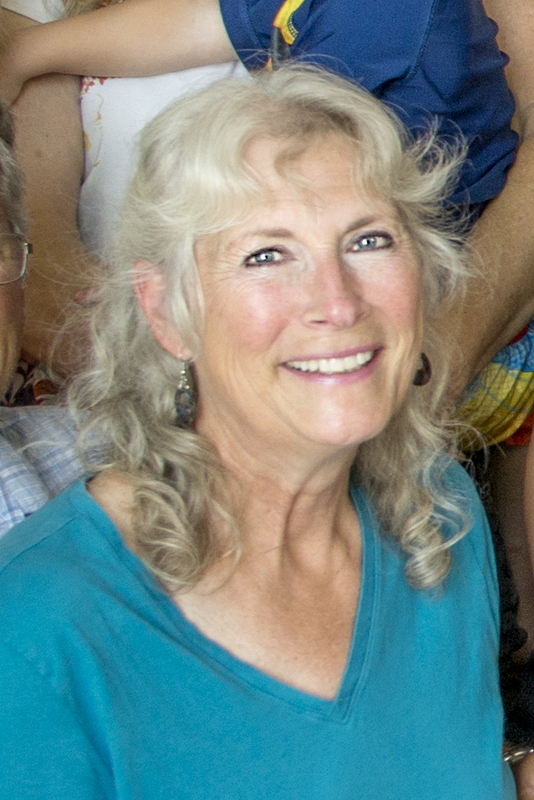 This week our guest is multi-genre author Susan Davis. We go way back beginning our fiction writing careers at the same publishing house. Today we're together again at BWL Publishing. Win a $10 Amazon Gift Card from Susan. Susan says, "Leave a quick comment on what kind of supernatural/paranormal being you like best, along with your email addy for a chance to win a $10.00 Amazon Gift Card." Deadline for entry is Sunday, September 30, 10 pm ET. Good luck!! Thank you, Susan. 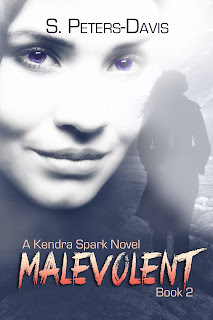 Now let's find out the Five W's in Susan's latest release, Malevolent. Trafficked girls marked to lose their souls by a malevolent supernatural entity require someone with explicit abilities for their rescue. Will Kendra be able to save them? Hello JQ, thank you so much for having me at your place. You have a lovely blog: ) Hello to everyone stopping in also. Thank you for taking a moment to check in. I’m honored. Kendra Spark, a mystery-suspense romance author, who also possesses the ability to see and communicate with the dead, aka ghosts, ends up consulting for the FBI. She’s become the translator for Jenna. Jenna Powers, a criminal analyst for the FBI and BFF of Kendra, died in the first book, but never left Kendra’s side. She continues to analyze criminals. Derek Knight, a totally hot FBI Special Task Force Agent, leads an investigation team that includes Kendra and Jenna. You’ll also meet FBI Director Jackson Powers (Jenna’s father); Luke, Ray, and Tressa (the rest of Derek’s investigation team); and plenty of “evil bad-guys” – like Vinny Merretti (part of a cartel), Bertellia Camelia Gonzales and her side-kick, Buster (two malevolent entities). A sealed container driven outside of Washington D.C. was found tipped over in a ditch with a number of young teen girls, dehydrated and confused, inside. The driver, DOA, had a business card tucked in his pocket listing Vinny Merretti’s North Carolina businesses along the Cape Fear River. The case: find the ringleader of the trafficked young women. Northern Michigan (where Kendra lives), Washington D.C. (FBI headquarters and Derek’s house located outside the city), Wilmington, NC along Cape Fear (location of Vinny Merretti’s “Midnight” businesses). Even though the BIG why is - find the ringleader of the trafficked girls, there’s more going on with Kendra and Jenna – supernatural story-threads that also need immediate attention. 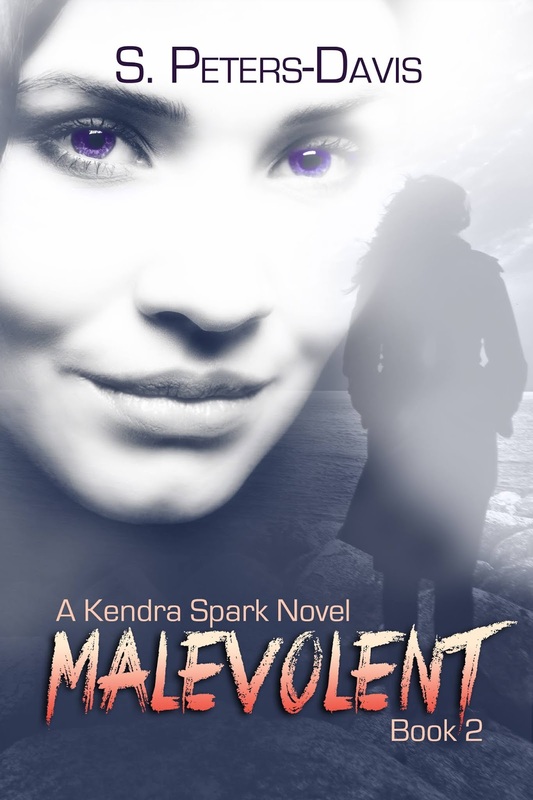 Their souls are marked by a malevolent entity and the countdown for the soul-sucker’s consumption fast approaches, not just for Kendra and Jenna, but for the trafficked girls as well. A couple new characters are introduced in this 2nd book, a major one being a voodoo priestess, NaNa Rosa (who I personally adore…and she’ll definitely show up in Albatross, the 3rd book in this series). NaNa Rosa handles most of “righting” what’s happened on the preternatural front, along with Kendra’s grandmother Ellie, who makes a couple appearances even though she’s no longer on the earth plane. FBI agents, ghost-seers, ghosts, voodoo priestess, guardian angels, and undercover police detectives play their respective parts in “how” the story unravels. HI JQ:) So great to be at your place tonight and all day tomorrow too:) Thank you so much for having me:) Hello everyone - thank you for stopping in and don't forget to leave a comment - what's your favorite supernatural or paranormal being? Add your email so I can contact you if you're the drawing winner:) Good Luck!! Thrilled to have you here as a guest too Susan! What a book! Great characters! Hi JQ, I've really enjoyed your 5 Ws series. Susan, this sounds like an interesting and unusual read. You must have a great imagination! My favourite paranormal being is the traditional vampire. You can have so much fun as a writer with vampires, and I've read a variety of interpretations, from traditional to comedy. Hi Helena. Thank you. I have really enjoyed hosting this series. Learning so much about how authors put their stories together. This sounds wonderful. I love the collection of characters--both dead and live. Hi Jacqui. Right, dead and live characters. Susan has quite an imagination! Hi Jacqui - so glad you stopped in...and I adore ghosty characters. Jenna Powers is full of it (spirited, if you get my meaning), she totes a lot of steam in the story and she's still Kendra's best friend. Woohoo I won! Now I'm trying to decide which of your wonderful books to purchase with my Amazon gift card, Susan. I'll be the one browsing your author page! OK, I decided. I bought Unorthodox. I love series! This one sounds amazing. Yay! I used it for a good purpose, Susan--to buy your book! Congrats Jacqui!! Lots of good reading there for you. Thanks, Susan, for your generous giveaway! And thank you to all those who visited and BIG thank you to those who left comments. I don't often win so I'm excited about this!